The creation of internet has made easier our life, in many areas and for many reasons. Think for istance about the discovery of the radio, more than one hundred years ago and with very old tools for us, but back then the only available. Now, if you love music and if you love to talk, you can create your own online radio station, without big efforts. Instead of spending a lot of money in machinery and equipment, now with a computer, an internet connection and few dollars for the monthly streaming cost, you can satisfy your passion of radio, broadcasting globally. Since the time when the pioneers of the radio were working to develop the system to broadcast, the technology itself has made great steps and right now you may find for free the sophisticated software that will let you start your online radio in very few steps. – Shoutcast Server is the real server, which sends the audio signal on the Internet. It makes the streaming. With some online radio providers, things are much easier. Read below. a copy of the Shoutcast DSP plugin for Winamp. 5 – purchase a good microphone and with it, you will need a good soundcard in your computer to connect your microphone. You can then use Winamp, Live365 or other program to record your radio program. See below some useful links about online radio networks, that provide the infrastructure necessary to create a web radio and broadcast your content, even covering the cost of licensing music to reproduce copyrighted material. One of the main advantages of creating your own radio station online through these networks is the ability to use their streaming technologies. Live365 is a network with over 10,000 online radio stations free listening. As user, you need to pay a fixed amount per month for hosting your mp3 files and use the infrastructure of Live365. Prices range is from $ 9.95 per month for a basic account, to $ 84.95 a month for those with advanced features. A detailed list of plans is available on the website Live365. If you want to skip the music and just start your talking radio, Talkshoe is a great online platform. Talkshoe allows you to create your own talk show, using a telephone or a VoIP client, and invite listeners to join the broadcast. With the ability to control and moderate your listeners, and with an accompanying text chat threads, Talkshoe has everything you need to send in the comfort of your living room. Good luck in creating your own online radio and have fun ! 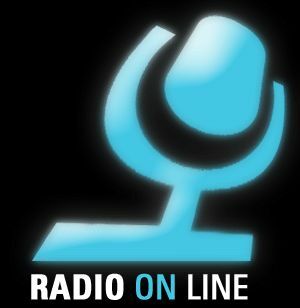 Its a good article explaining how to start an internet radio station. However you titled the article how to make money from a radio station. 2. Google adsense whereby you can place ads on the radio station website and earn money from each click when the station becomes popular. 3. Radio on air advertising. Seek companies willing to pay you to advertise their company on their website. There is a service called stream ads which allows people to bid for how much they will pay to advertise on their radio station. 4. This last method I would say is ok however it does not work for everyone. I would say it is possible if you have a very unique content to charge people to listen. thank you so much for adding these points. Radio stations make money from running commercials. They get paid when people responds to the commercial. It you notice, if you listen to two different stations, hear the same commercial only difference would be the number or site. This is how the advertiser know which stations to pay. Normally fixed rate. ($5 per call or more) for more info on how you can do this, contact me by gmail at RECORDZSOMAJESTIC ….